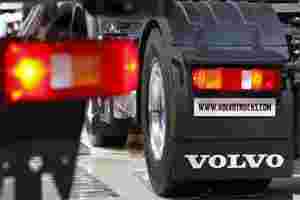 Stockholm: World number two truck maker Volvo on Tuesday missed third quarter profit forecasts and prepared to cut output in anticipation of lower demand in Europe next year. It also expected a weaker Brazilian market next year while North America, needing new, less fuel hungry trucks, and Japan would grow. “In Europe, we have noted a slight slowdown recently," said chief executive Olof Persson, who took over in September and whose comments echoed those from smaller rival Scania last week. “Production rates, which were slightly increased in August, are currently somewhat higher than the order-intake rate, which is why we are preparing to reduce manufacturing rates in the European production system in the beginning of next year," he added in a statement. He told a conference call that the forecast for Europe was also based on overall macro-economic uncertainty and n a country by country level. For 2012, the group forecast a decline in the European market of about 10% and a rise in the North American market of 20%. Third quarter operating margin came in at 7.9% versus an expected 8.6% in the Reuters poll. Shares in the company, which competes against world number one Daimler , were down 0.7% in early trade while the wider Stockholm market was a touch higher. Sales of trucks rose 16% year-on-year to 47.7 billion crowns in the quarter while sales of construction equipment rose 18 percent year-on-year to 14.96 billion crowns. “The results are a disappointment for the market in the third quarter, but I think that the comments about the future should be reassuring," said Sydbank analyst Morten Imsgard. Volvo said the truck market in Europe would come in this year at 240,000 units, the top end of its forecast range of 230,000 to 240,000. Demand was good in northern Europe and Russia but southern Europe and parts of eastern Europe were weaker, it said. The North American market, however, would undershoot expectations for 2011, with sales of 210,000 trucks rather than the forecast 230,000 to 240,000. It said it expected demand in the North American market to rise in 2012 as customers would be attracted by new trucks with lower fuel usage. It saw the market in Japan rising 20% next year and falling in Brazil by about 10%. The group also said it expected further modest growth in mature markets for its construction equipment division, its second largest, though China was slowing due to government austerity measures launched to contain inflation. It expected the total world market for construction equipment to grow by 5 to 15% in 2012 versus expected growth of 15 to 20% this year. It saw the Chinese market growing between 5 and 10% this year and between zero and 10 percent in 2012.